No. 17, Jalan Pengasah 4, Off Jalan Kapar, Batu 4, 42100 Klang, Selangor, Malaysia. B.H. Welder & Heater Tech (M) Sdn. Bhd., established in the new millennium year 2000. With a view of entering the largely untapped Malaysia market, we brought in the best products and machineries to establish ourselves as a reputable name in the domestic Malaysian market. 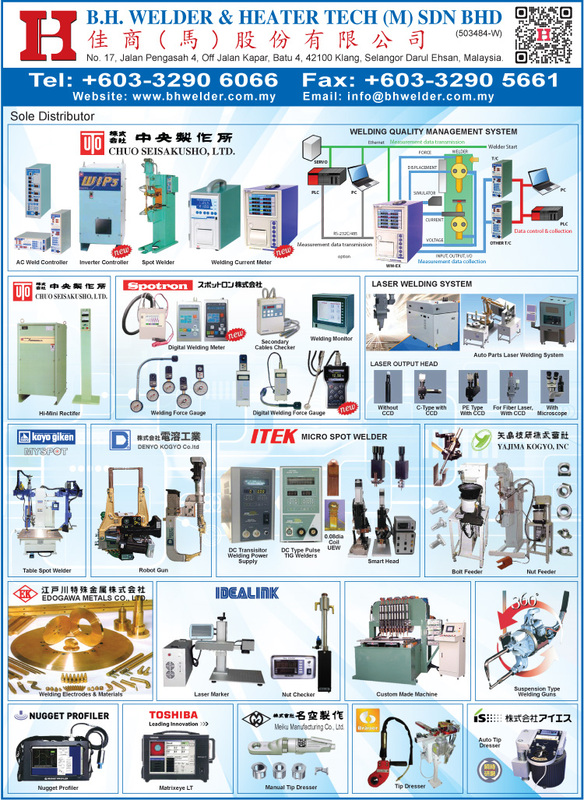 We are the Sole Distributors of such Products , consisting reliable and reputable Japanese brands such CHUO SEISAKUSHO, AMADA MIYACHI, SPOTRON, MIYACHI-SEIWA, EK-METAL, KOYO GIKEN, YAJIMA, MS TRADING & TAIWAN BRANDS are among the best products in the market. Quality, reliability and precision are nevertheless, the inherent values we strongly stress in our products. Innovative technology has never been static and the need to be kept abreast with its dynamism requires constant upgrading of research and development. 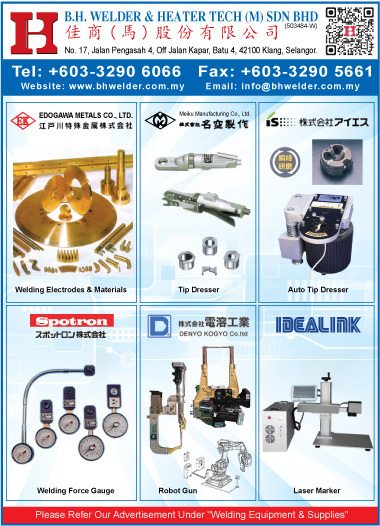 As we stride ourselves in the new millennium, B.H Welder & Heater Tech (M) Sdn Bhd will continue to provide the best products and services to our existing and potential customers. We believe, that the key WE SUPPLY ALL YOU NEED is our success here in Malaysia, is to ensure the continuity of provision of reliable and high quality products and service we offer today. B.H. Welder & Heater Tech (M) Sdn Bhd ensures its ability to provide a complete system to meet the quality demand and satisfaction of our clients.